First Complete Recording of Rodgers & Hammerstein's ALLEGRO. Written in 1947, Rodgers & Hammerstein’s ALLEGRO was preceded by OKLAHOMA! 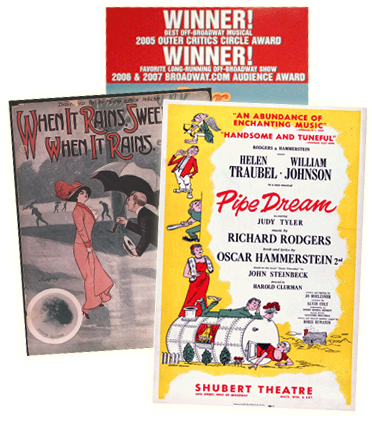 and CAROUSEL, and followed directly by SOUTH PACIFIC and THE KING AND I, a period when R&H were at their creative zenith. An original musical, ALLEGRO tells its story of an earnest country doctor through a bold and ambitious score that juxtaposes orchestral and choral pieces with such standards as “The Gentleman is a Dope,” “So Far,” and the spirited title song. Nearly three years in the making, this complete recording features Tony Award winners Audra McDonald, Laura Benanti, Norbert Leo Butz; Tony Award nominees Patrick Wilson, Judy Kuhn, Liz Callaway, Danny Burstein; stage and screen legend Marni Nixon; and opera sensation baritone Nathan Gunn. Co-produced by R&H President Ted Chapin, R&H Director of Music Bruce Pomahac, and Sony Masterworks Broadway’s David Lai, the specially priced 2-CD deluxe edition includes an 80-page, 4-color booklet featuring exclusive recording session photos, rare historical images, editorial reflections by Stephen Sondheim, essays by R&H’s Ted Chapin and Bert Fink, a synopsis and libretto.